Kampala, 26 October 2018:- The Prime Minister of Uganda the Right Honorable Dr Ruhakana Rugunda has praised the World Health Organization (WHO) for its timely and effective efforts that have so far protected the country from importing the Ebola Virus Disease (EVD) that is currently affecting some parts of the Democratic Republic of Congo (DRC) near the border with Uganda. "Uganda, with support from WHO and other partners, is ensuring that no case crosses into the country undetected. We must thank them for that", said Dr Rugunda in remarks read on his behalf by the Minister in Charge of General Duties in his office Hon. 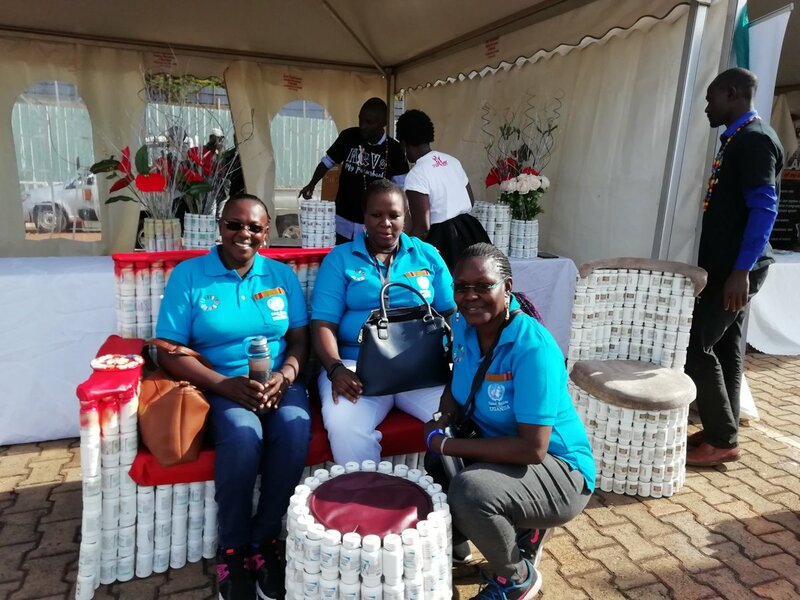 Mary Karoro Okurut at the commemoration of the 2018 United Nations (UN) Day held at Kololo Airstrip in Kampala. Dr Rugunda highlighted the EVD preparedness activities being implemented by the Ministry of Health with support from WHO and other partners particularly in the high-risk districts of Bundibugyo, Bunyangabu, Kampala, Kabarole, Kasese, Hoima, Kikuube, Ntoroko and Wakiso. These include coordination of preparedness activities; training health workers on infection control and prevention; setting up and running Ebola Treatment Centres; community and health facility-based surveillance; identifying alert cases especially at border crossings; collection, transportation and testing of alert blood samples; risk communication; logistics supply. 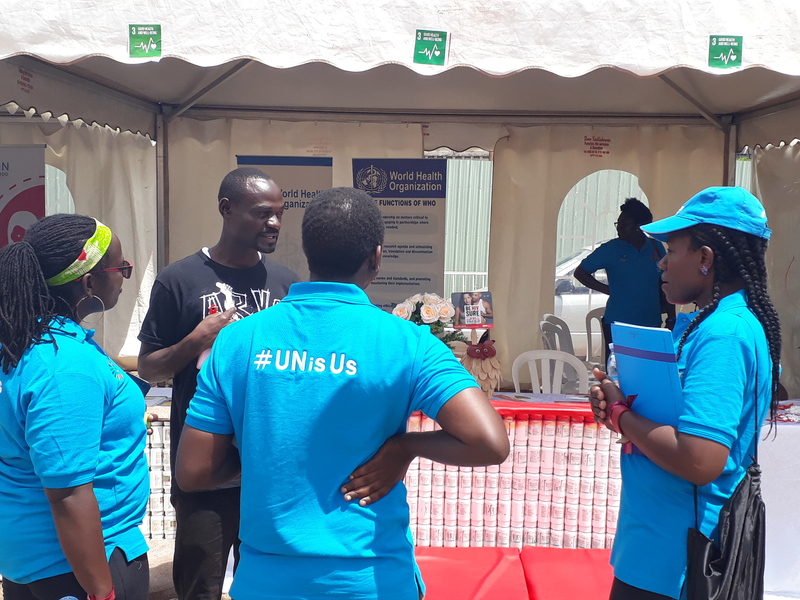 Turning to the UN Day that was in commemoration of its 72nd anniversary under the theme: 'Promoting the SDGs, Good Health and Well-being #UNisUs', Dr Rugunda commended the UN in general for the support rendered to the government of Uganda in the various sectors of social economic development. "The UN and the government have a close working bond, the immense support is highly appreciated", he said. 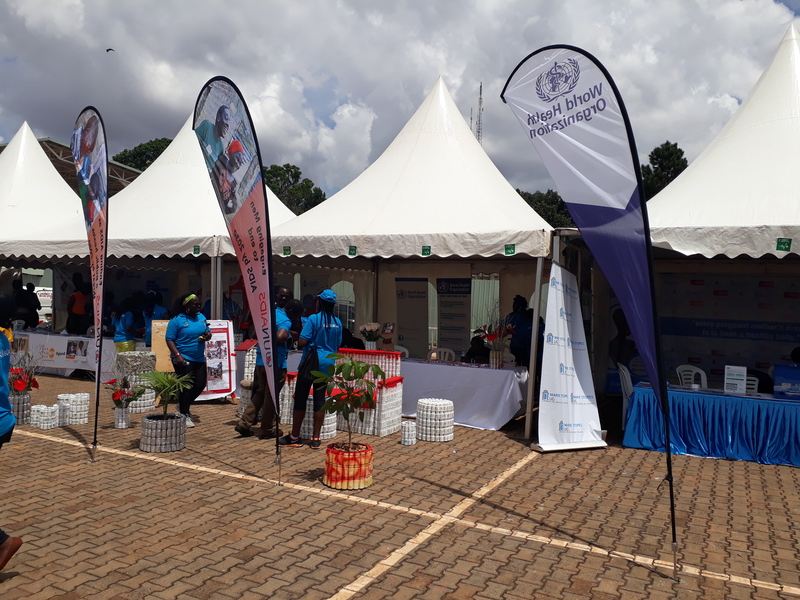 The UN Resident Coordinator in Uganda, Ms Rosa Malango highlighted the successes of the UN in Uganda singling out health, agriculture and industry as “key areas for development and youth empowerment." She appreciated the support of the government that enables the UN to meet its mandate and pledged even closer working relationships. 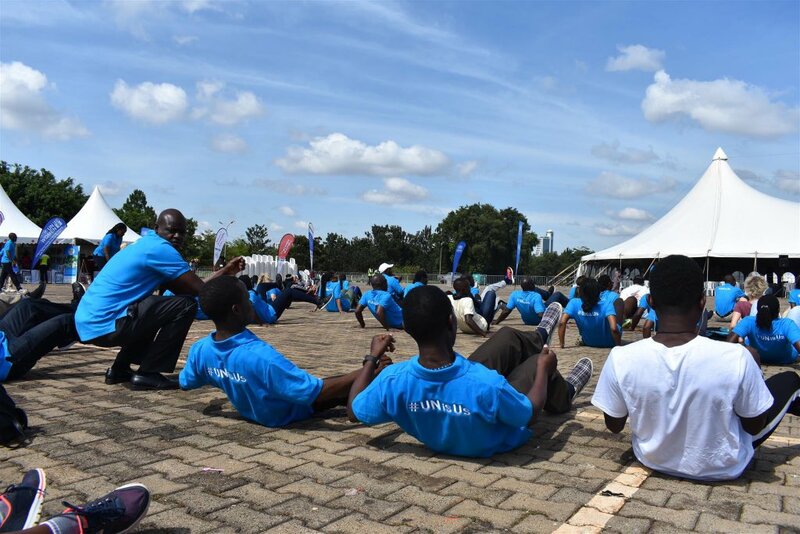 The UN day was activity-filled with staff from the different UN agencies engaging in sports activities such as soccer, basketball, tug of war, cardiovascular exercises and dancing aimed at promoting healthy living. Screening for Non-Communicable Diseases such as hypertension, diabetes, cancer as well as HIV testing were also provided. Eighty-one (81) Civil Society Organizations (CSOs) displayed products they produce with support from various UN agencies. These included food products, crafts, energy conserving items, environmental-friendly products, publications and services for maternal care, child welfare, HIV/AIDS counselling and many more. All UN agencies resident in Uganda were represented at the function.